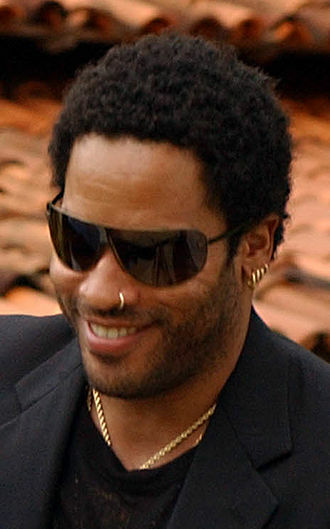 Terry Manning is an American singer-songwriter, composer, multi-instrumentalist, record producer, photographer, audio engineer, and visual artist. 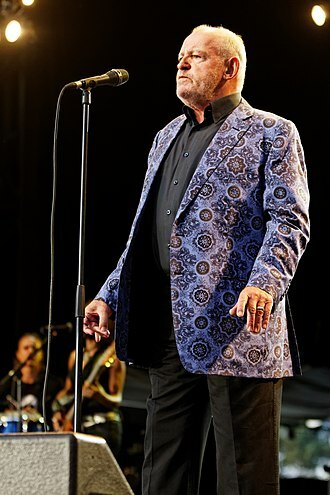 In a career spanning more than 50 years, he has worked with Led Zeppelin, Iron Maiden, Bryan Adams, ZZ Top, The Tragically Hip, Zeno, Jay Boy Adams, Booker T. & the MG's, Shakira, Isaac Hayes, Otis Redding, Rhino Bucket, Johnny Winter, Johnny Taylor, Jason and the Scorchers, the Staple Singers, Molly Hatchet, George Thorogood, Al Green, Widespread Panic, Shania Twain, Joe Cocker, Joe Walsh, and Lenny Kravitz, among others. 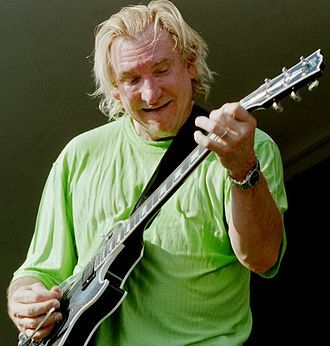 In 2013, Manning was inducted into the International Rockabilly Hall of Fame, the West Texas Music Hall of Fame, and the Bobby Fuller Four and Border Legends Cultural Center of El Paso, Texas. In October 2013, ECR Music Group released Manning's album "West Texas Skyline," a tribute to Bobby Fuller. In January 2015, ECR released Manning's album "Heaven Knows". Terry Manning was born in Oklahoma City, and started in music in El Paso, Texas. In high school Manning showed a talent for sports, and he ran track and was all-city quarterback on the football team. He attended Memphis State University (now University of Memphis), where he served as captain of the soccer team and played junior varsity basketball. 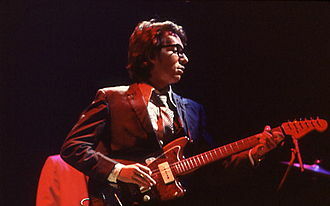 Manning began working in the music industry while he lived in El Paso, where he played guitar and sang with several local bands, including sitting in with Bobby Fuller and leading The Wild Ones. After moving to Memphis, Tennessee, Manning worked for years at both Stax Records and Ardent Studios as an engineer and producer, recording and mixing. He was a principal part of Stax owner Al Bell's production team for The Staple Singers, responsible for such hit records as "Heavy Makes You Happy," "Respect Yourself," and "I'll Take You There." In 1970, Manning licensed release of his own solo album, Home Sweet Home, on Stax's Enterprise label, re-released with extra tracks by Sunbeam in 2006. In the mid 1980s Manning moved to London, and worked for a year at EMI's Abbey Road Studios. In 1992, he moved to Nassau, Bahamas, to partner with Chris Blackwell in Compass Point Studios, which he operated for over twenty years. Manning's newest releases as a music artist are the ECR Music Group/Lucky Seven Records releases of his albums, West Texas Skyline: A Tribute To Bobby Fuller, released in October 2013, and his newest, Heaven Knows, released in 2015. Manning was interested and involved in photography almost as long as music. A close friend starting in the late 1960s was William Eggleston, who served as a mentor, as well as introducing young Manning to other photographers such as William Christenberry and Lee Friedlander. 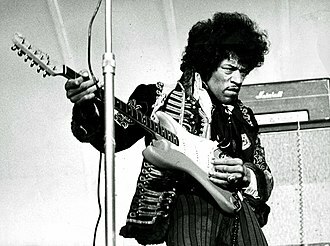 Although Manning's favorite work is his "evocative urban landscapes," he has also photographed Chuck Berry, Procol Harum, Steppenwolf, Terry Reid, Jimi Hendrix, Dusty Springfield, Lenny Kravitz, and many other musical artists of the rock music genre, as both an independent and as a writer/photographer for New Musical Express. He worked as a photojournalist for NME and was one of the last to photograph his acquaintance, Martin Luther King, Jr., on the day before the assassination. In August 2015, Manning's photography work began showing at art galleries in several cities. Two photography books were released Scientific Evidence Of Life On Earth During Two Millennia, and Cuba Despues Del Tiempo Especial, Antes De Los Americanos, and a number of photography books and new exhibits were planned. Manning regularly competes in marathons, including two entries in The New York Marathon. He achieved a ranking of 19th nationally in racquetball, and worked as a racquetball instructor for several years. He is an instrument-rated pilot[clarification needed], and has completed Bachelor of Arts degrees in Political Science and History. In 1992 Manning moved to The Bahamas where he worked with Chris Blackwell and Compass Point Studios. In 2017 Manning married Janet Brunton and located back to El Paso, Texas. Manning has a stepson named Cory and three children named Lucas, Michael, and Kari. Oklahoma City is the capital and largest city of the U. S. state of Oklahoma. The county seat of Oklahoma County, the city ranks 27th among United States cities in population, the population grew following the 2010 Census, with the population estimated to have increased to 631,346 as of July 2015. Oklahoma Citys city limits extend into Canadian and Pottawatomie counties, the city ranks as the eighth-largest city in the United States by land area. 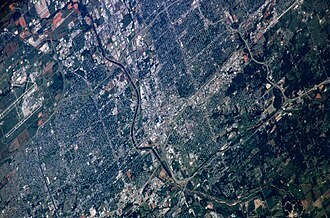 Oklahoma City has the largest municipal population of any city in the Great Plains region of the central United States as well as all neighboring states to Oklahoma, excluding Texas, lying in the Great Plains region, Oklahoma City features one of the largest livestock markets in the world. Oil, natural gas, petroleum products and related industries are the largest sector of the local economy, the city is situated in the middle of an active oil field and oil derricks dot the capitol grounds. The federal government employs large numbers of workers at Tinker Air Force Base, Oklahoma City is on the I-35 Corridor, which is one of the primary travel corridors south into neighboring Texas and Mexico and north towards Wichita and Kansas City. Located in the Frontier Country region of the state, the citys northeast section lies in a region known as the Cross Timbers. 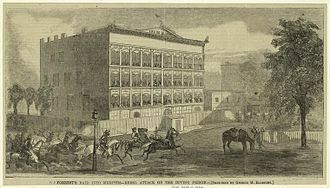 The city was founded during the Land Run of 1889, the city was the scene of the April 19,1995 bombing of the Alfred P. Murrah Federal Building, in which 168 people died. It was the deadliest terror attack in the history of the United States until the attacks of September 11,2001, and remains the deadliest act of domestic terrorism in U. S. history. 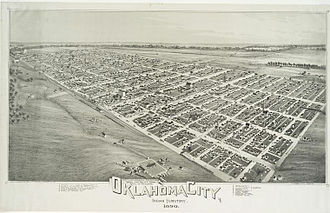 Oklahoma City was settled on April 22,1889, when the known as the Unassigned Lands was opened for settlement in an event known as The Land Run. Some 10,000 homesteaders settled the area that would become the capital of Oklahoma, the town grew quickly, the population doubled between 1890 and 1900. Early leaders of the development of the city included Anton Classen, John Shartel, Henry Overholser, by the time Oklahoma was admitted to the Union in 1907, Oklahoma City had surpassed Guthrie, the territorial capital, as the population center and commercial hub of the new state. Martin Luther King Jr. was an American Baptist minister and activist who was a leader in the Civil Rights Movement. 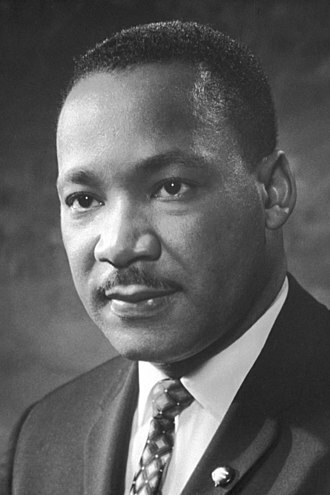 He is best known for his role in the advancement of civil rights using nonviolent civil disobedience based on his Christian beliefs, King became a civil rights activist early in his career. He led the 1955 Montgomery bus boycott and helped found the Southern Christian Leadership Conference in 1957, with the SCLC, King led an unsuccessful 1962 struggle against segregation in Albany and helped organize the 1963 nonviolent protests in Birmingham, Alabama. King helped to organize the 1963 March on Washington, where he delivered his famous I Have a Dream speech, on October 14,1964, King received the Nobel Peace Prize for combating racial inequality through nonviolent resistance. In 1965, he helped to organize the Selma to Montgomery marches, in the final years of his life, King expanded his focus to include opposition towards poverty and the Vietnam War, alienating many of his liberal allies with a 1967 speech titled Beyond Vietnam. 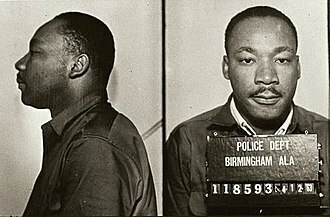 In 1968, King was planning a national occupation of Washington, D. C. to be called the Poor Peoples Campaign, Kings death was followed by riots in many U. S. cities. Ray, who fled the country, was arrested two months at London Heathrow Airport, King was posthumously awarded the Presidential Medal of Freedom and the Congressional Gold Medal. Martin Luther King Jr. Day was established as a holiday in numerous cities and states beginning in 1971, hundreds of streets in the U. S. have been renamed in his honor, and a county in Washington State was renamed for him. The Martin Luther King Jr. Memorial on the National Mall in Washington, King was born on January 15,1929, in Atlanta, Georgia, to the Reverend Martin Luther King, Sr. and Alberta Williams King. It was during this time he chose to be called Martin Luther King in honor of the German reformer Martin Luther, King had Irish ancestry through his paternal great-grandfather, as well as African ancestry. 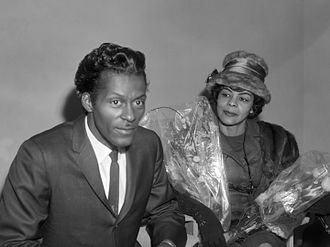 King was a child, between an older sister, Willie Christine King, and a younger brother, Alfred Daniel Williams King. El Paso is the seat of El Paso County, United States. The city is situated in the far corner of the U. S. state of Texas. El Paso stands on the Rio Grande river across the Mexico–United States border from Ciudad Juárez, the region of over 2.9 million people constitutes the largest bilingual and binational work force in the Western Hemisphere. The city hosts the annual Sun Bowl college football post-season game, El Paso has a strong federal and military presence. William Beaumont Army Medical Center, Biggs Army Airfield, and Fort Bliss call the city home, Fort Bliss is one of the largest military complexes of the United States Army and the largest training area in the United States. Also headquartered in El Paso are the DEA domestic field division 7, El Paso Intelligence Center, Joint Task Force North, Border Patrol El Paso Sector, and U. S. In 2010, El Paso received an All-America City Award, El Paso has been ranked the safest large city in the U. S. for four consecutive years and has ranked in the top three since 1997. As of July 1,2015, the estimate for the city from the U. S. Census was 681,124. 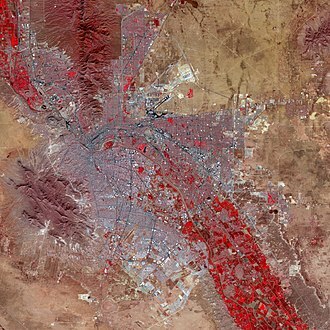 Its U. S. metropolitan area covers all of El Paso and Hudspeth counties in Texas, the El Paso MSA forms part of the larger El Paso–Las Cruces CSA, with a population of 1,053,267. The El Paso region has had human settlement for thousands of years, the evidence suggests 10,000 to 12,000 years of human habitation. The earliest known cultures in the region were maize farmers, when the Spanish arrived, the Manso and Jumano tribes populated the area. These were subsequently incorporated into the Mestizo culture, along with immigrants from central Mexico, captives from Comanchería, the Mescalero Apache were present. El Paso del Norte was founded on the bank of the Río Bravo del Norte. 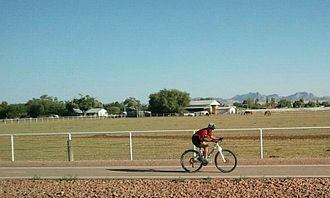 El Paso remained the largest settlement in New Mexico until its cession to the U. S. in 1848, the Texas Revolution was generally not felt in the region, as the American population was small, not being more than 10% of the population. However, the region was claimed by Texas as part of the treaty signed with Mexico, during this interregnum, 1836–1848, Americans nonetheless continued to settle the region. 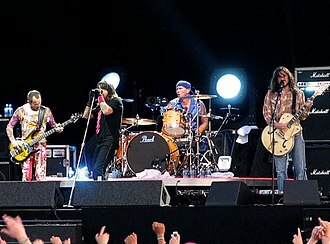 They have released 14 studio albums, two live albums,1 EP, and 54 singles. Nine of their albums have reached No.1 in Canada and they have received numerous Canadian Music awards, including 14 Juno Awards. Following Downies diagnosis with terminal cancer in 2016, the band undertook a tour of Canada in support of their thirteenth album Man Machine Poem. The Tragically Hip formed in 1983 in Kingston, Gord Sinclair and Rob Baker were students at Kingston Collegiate and had performed together at the KCVI Variety Show as The Rodents. 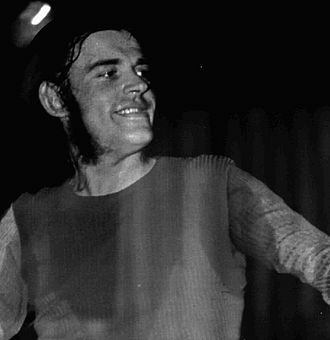 Baker and Sinclair joined with Downie and Fay in 1984 and began playing gigs around Kingston with some memorable stints at a Queens University pub called Alfies, guitarist Paul Langlois joined in 1986, saxophonist Davis Manning left that same year. They took their name from a skit in the Michael Nesmith movie Elephant Parts, by the mid-1980s they performed in small music venues across Ontario until being seen by then-MCA President Bruce Dickinson at the Horseshoe Tavern in Toronto. They were signed to a record deal with MCA. The album produced two singles, Small Town Bring-Down and Highway Girl and they followed up with 1989s Up to Here. 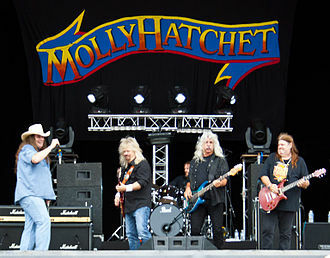 This album produced four singles, Blow at High Dough, New Orleans Is Sinking, Boots or Hearts, all four of these songs found extensive rotation on modern rock radio play lists in Canada. 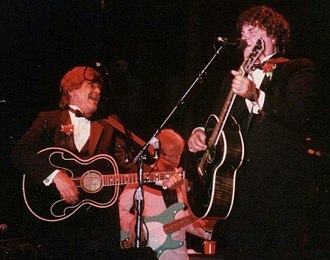 Road Apples followed in 1991, producing three singles and reaching No.1 on Canadian record charts, during the Road Apples tour, Downie became recognized for ranting and telling fictional stories during songs such as Highway Girl and New Orleans is Sinking. 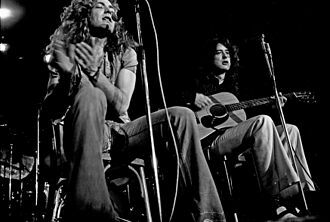 The sound on these first two albums is sometimes characterized as blues-tinged, although there are definite acoustic punctuations throughout both discs. The Hip released another album, Fully Completely in 1992, which produced the singles Locked in the Trunk of a Car, Courage and At the Hundredth Meridian, the sound on this album displayed less of a blues influence than previous albums. 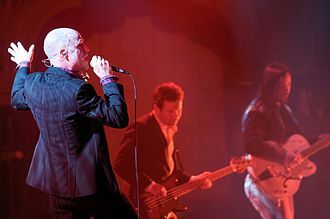 The Hip created and headlined the first Another Roadside Attraction tour at this time, many songs from Day For Night were first performed prior to their release during the 1993 Another Roadside Attraction Tour. New Musical Express is a British music journalism magazine published since 1952. It was the first British paper to include a singles chart, in the 1970s it became the best-selling British music newspaper. It started as a newspaper, and gradually moved toward a magazine format during the 1980s and 1990s. An online version of NME, NME. com, was launched in 1996 and it became the worlds biggest standalone music site, with over seven million users per month. With newsstand sales falling across the UK magazine sector, the paid circulation in the first half of 2014 was 15,830. In 2013, the list of NMEs The 500 Greatest Albums of All Time, NME magazine was relaunched in September 2015 as a nationally distributed free publication. 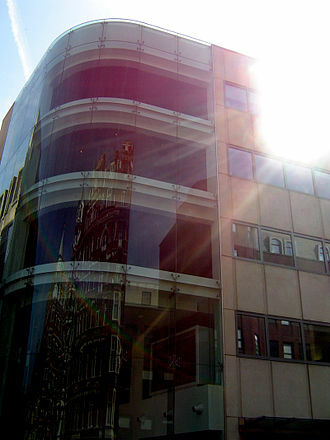 NMEs headquarters are in Southwark, England, the brands editor-in-chief is Mike Williams, who replaced Krissi Murison in 2012. The paper was established in 1952, the Accordion Times and Musical Express was bought by London music promoter Maurice Kinn, for the sum of £1,000, just 15 minutes before it was due to be officially closed. 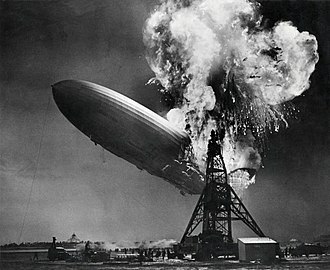 It was relaunched as the New Musical Express, and was published in a non-glossy tabloid format on standard newsprint. On 14 November 1952, taking its cue from the US magazine Billboard, it created the first UK Singles Chart, the first of these was, in contrast to more recent charts, a top twelve sourced by the magazine itself from sales in regional stores around the UK. The first number one was Here in My Heart by Al Martino, during the 1960s the paper championed the new British groups emerging at the time. The NME circulation peaked under Andy Gray, Editor 1957–1972, with a figure of 306,881 for the period from January to June 1964, the Beatles and the Rolling Stones were frequently featured on the front cover. These and other artists appeared at the NME Poll Winners Concert. The concert featured a ceremony where the winners would collect their awards. 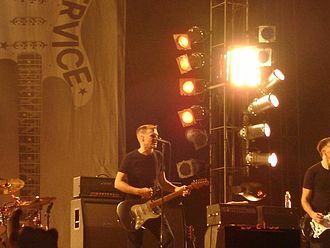 The NME Poll Winners Concerts took place between 1959 and 1972, from 1964 onwards they were filmed and transmitted on British television a few weeks after they had taken place. 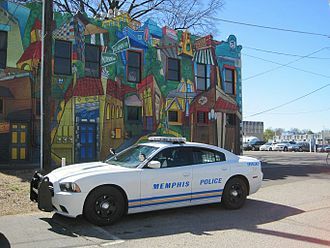 The University of Memphis, called The U of M, is an American public research university located in the Normal Station neighborhood of Memphis, Tennessee. Founded in 1912, the University has an enrollment of more than 22,000 students, with twenty-five Chairs of Excellence and five state-approved Centers of Excellence, the school is the flagship institution of The Tennessee Board of Regents system. The university maintains The Center for Earthquake Research and Information, The Cecil C, a faculty of approximately 930 professors serves about 17,000 undergraduate and 4,000 graduate students. The Daily Helmsman, the independent daily newspaper on the campus, in operation since 1925, in addition, many other student organizations and academic departments, such as the University of Memphis Institute for Egyptian Art and Archaeology, the Cecil C. Over its history, the University of Memphis has graduated many famous alumni, congressman Steve Cohen and former U. S. Senator Fred D. Thompson, historian of the American South Joe Gray Taylor, the Division of Professional and Continuing Education at the University of Memphis provides non-credit instruction to people from all walks of life. Originally established in the 1970s, the programs include face-to-face short courses, customized training for businesses. The University of Memphis is governed by the Tennessee Board of Regents system, the board sets Policies and Guidelines that govern all TBR institutions. The Standing Committees of the Board, and some Ad Hoc Committees, meet prior to each Board meeting and include faculty, within this framework, the President of the University of Memphis is the day-to-day administrator of the university. Humphreys School of Law Graduate School School of Public Health Rudi E, in 1909, the Tennessee Legislature enacted the General Education Bill. This bill stated that three colleges be established, one within each division of the state and one additional school for African-American students. After much bidding and campaigning, the state had to choose between two sites to build the new college for West Tennessee and Memphis. 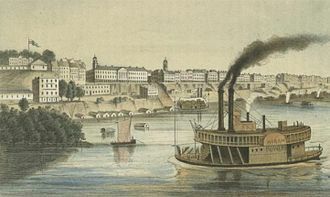 Memphis was chosen, one of the reasons being the proximity of the rail line to the site proposed to build the new college for West Tennessee. Abbey Road Studios is a recording studio at 3 Abbey Road, St Johns Wood, City of Westminster, England. It was established November 1931 by the Gramophone Company, a predecessor of British music company EMI, Abbey Road Studios is most notable as being the 1960s venue for innovative recording techniques adopted by the Beatles, Pink Floyd, the Hollies and others. One of its earliest world-famous-artist clients was Paul Robeson, who recorded December 1931, towards the end of 2009, the studio came under threat of sale to property developers. However, the British Government protected the site, granting it English Heritage Grade II listed status in 2010, originally a nine-bedroom Georgian townhouse built in 1831 on the footpath leading to Kilburn Abbey, the building was converted to flats where the most flamboyant resident was Maundy Gregory. In 1931, the Gramophone Company acquired the premises and converted it into studios, pathé filmed the opening of the studios when Sir Edward Elgar conducted the London Symphony Orchestra in recording sessions of his music. In 1934, inventor of stereo sound, Alan Blumlein, recorded Mozarts Jupiter Symphony which was conducted by Sir Thomas Beecham at the studios, the neighbouring house is owned by the studio and used to house musicians. 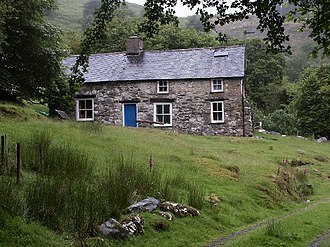 During the mid-20th century, the studio was used by leading British conductor Sir Malcolm Sargent. The Gramophone Company amalgamated with Columbia Graphophone Company to form EMI and it was under this name that in 1936 cellist Pablo Casals became the first to record Johann Sebastian Bachs Cello Suites No.1 &2 at the command of EMI head Fred Gaisberg. The recordings went on to spur a revolution among Bach aficionados, in 1958, Studio Two at Abbey Road became a centre for rock and roll music when Cliff Richard and the Drifters recorded Move It there, and pop music material. The Beatles named their 1969 album Abbey Road, after the street where the studio is located, the studio was renamed Abbey Road Studios in 1970 after the Beatles album had made it famous. Iain Macmillan took the cover photograph outside the studios, with the result that the nearby zebra crossing has become a place of pilgrimage for Beatles fans. It has been a tradition for visitors to pay homage to the band by writing on the wall in front of the even though it is painted over every three months. 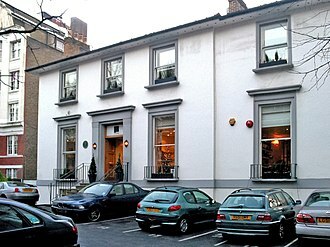 December 2010, the crossing at Abbey Road was given a Grade II listed status. Pink Floyd recorded most of their late 1960s to mid-1970s albums here, the Shadows named their Live at Abbey Road album after the studio, with the cover spoofing the Beatles album. 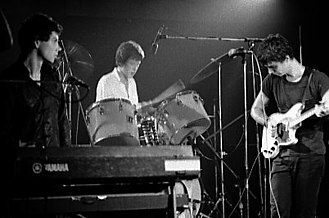 The chief mastering engineer at Abbey Road was Chris Vinyl Blair, in 1979, EMI commissioned the British jazz fusion band Morrissey-Mullen to record Britains first digitally recorded single record at Abbey Road Studios. From July 18 to September 11,1983, the public had an opportunity to see inside the legendary Studio Two where The Beatles made most of their records. While a new mixing console was being installed in the control room, the soundtrack to the video had a number of recordings that were not made commercially available until the release of The Beatles Anthology project over a decade later. 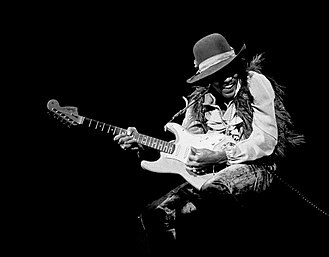 Inducted to the Rock and Roll Hall of Fame in 1995, Green was referred to on the museums site as being one of the most gifted purveyors of soul music. He has referred to as The Last of the Great Soul Singers. Green was included in the Rolling Stone list of the 100 Greatest Artists of All Time, Al Green was born Albert Leornes Greene on April 13,1946, in Forrest City, Arkansas. The sixth of ten born to Cora Lee and Robert G. Greene, Jr. a sharecropper. 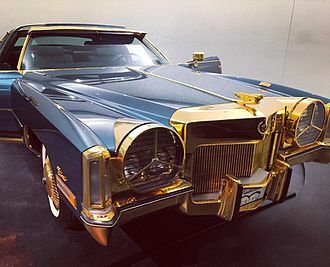 The Greene family relocated to Grand Rapids, Michigan, in the late 1950s, Al was kicked out of the family home while in his teens, after his religiously devout father caught him listening to Jackie Wilson. 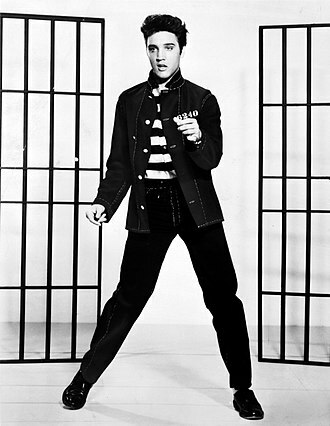 I listened to Mahalia Jackson, all the great gospel singers, but the most important music to me was those hip-shakin’ boys, Wilson Pickett and Elvis Presley. Whatever he got, I went out and bought, in high school, Al formed a vocal group called Al Greene & the Creations. 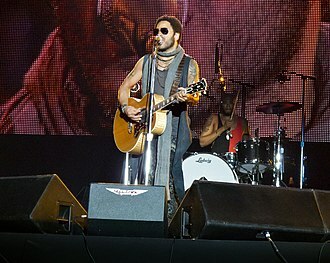 Two of the members, Curtis Rodgers and Palmer James. In 1968, having changed their name to Al Greene & the Soul Mates, they recorded the song Back Up Train, the song was a hit on the R&B charts. However, the groups subsequent follow-ups failed to chart, as did their debut album, while performing with the Soul Mates, Green came into contact with Memphis record producer Willie Mitchell, who hired him in 1969 to be a vocalist for a Texas show with Mitchells band. Following the performance, Mitchell asked Green to sign with his Hi Records label, having noted that Green had been trying to sing like Jackie Wilson, Sam Cooke, Wilson Pickett and James Brown, Mitchell became his vocal mentor, coaching him into finding his own voice. 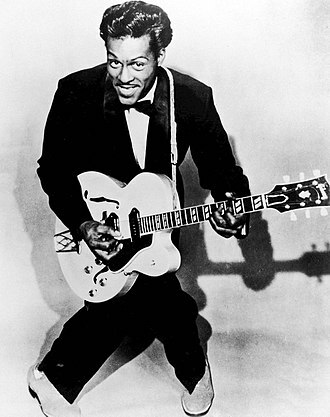 Before releasing his first album with Hi, Green removed the final e from his name, subsequently, he released Green Is Blues, which was a moderate success. His follow-up album, Al Green Gets Next to You, featured the hit R&B cover of the Temptations I Cant Get Next to You, Greens next album, Lets Stay Together, solidified his place in soul music. The title track was his biggest hit to date, reaching number one on both the Billboard Hot 100 and R&B charts, the album became his first to be certified gold. Mary Isobel Catherine Bernadette OBrien, OBE, better known as Dusty Springfield, was an English pop singer and record producer whose career extended from the late 1950s to the 1990s. She is a member of the US Rock and Roll and UK Music Halls of Fame, international polls have named Springfield among the best female rock artists of all time. Her image, supported by a peroxide blonde bouffant hairstyle, evening gowns, born in West Hampstead to a family that enjoyed music, Springfield learned to sing at home. In 1958 she joined her first professional group, The Lana Sisters and her solo career began in 1963 with the upbeat pop hit, I Only Want to Be with You. Among the hits that followed were Wishin and Hopin , I Just Dont Know What to Do with Myself, You Dont Have to Say You Love Me, and Son of a Preacher Man. Although she was never considered a Northern Soul artist in her own right and she was the first UK singer to top the New Musical Express readers poll for Female Singer. 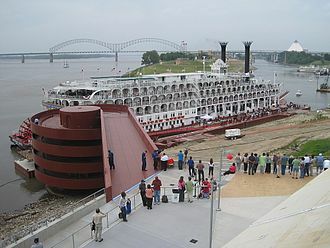 To boost her credibility as a soul artist, Springfield went to Memphis, Tennessee, to record Dusty in Memphis, an album of pop and soul music with the Atlantic Records main production team. 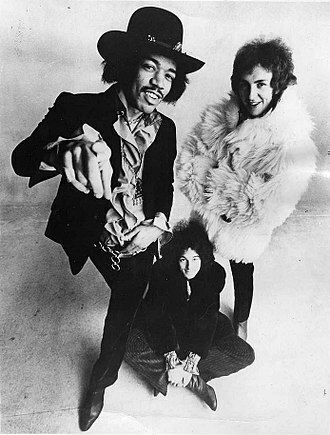 Released in 1969, it has ranked among the greatest albums of all time by the US magazine Rolling Stone and in polls by VH1 artists, New Musical Express readers. 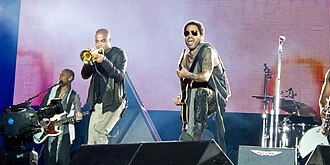 The album was awarded a spot in the Grammy Hall of Fame. Despite its current recognition, the album did not sell well and after its release, however, in collaboration with Pet Shop Boys, she returned to the Top 10 of the UK and US charts in 1987 with What Have I Done to Deserve This. Two years later, she had two other UK hits on her own with Nothing Has Been Proved and In Private, subsequently, in the mid-1990s, owing to the inclusion of Son of a Preacher Man on the Pulp Fiction soundtrack, interest in her early output was revived. Springfield was born Mary Isobel Catherine Bernadette OBrien on 16 April 1939 in West Hampstead and her older brother, Dionysius P. A. OBrien, was known as Tom Springfield. Springfields father, who had raised in British India, worked as a tax accountant and consultant. Her mother came from an Irish family, originally from Tralee, County Kerry, Springfield was brought up in High Wycombe, Buckinghamshire until the early 1950s, and lived in Ealing. 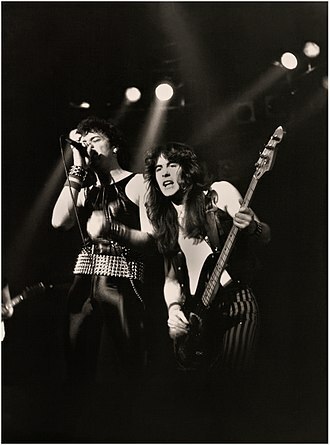 Hill and Gibbons in 1983. The new Cecil C. Humphreys School of Law, a former United States federal courthouse, opened in 2010. Abbey Road has become a London tourist attraction. Pianos used by many recording artists over the years in Studio Two of Abbey Road Studios. Performing "The Wherewithal" at the House of Blues in Boston, Massachusetts, 2015. 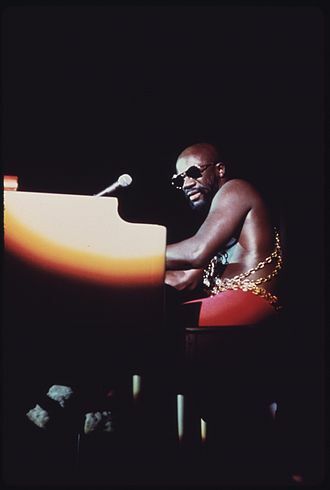 1973 photo of Hayes taken by John H. White. Thorogood and Jim Suhler performing in 2010.